Amberleigh Community Park is a playground paradise. With a unique play village featuring oversized houses, buildings and trucks, this park will spark imaginative play in your little ones. Stay for a bite at the large pavilion just steps away from the playground and use our guide to quick eats and other picnicking places in Dublin. Get your game on at Avery Park. You won’t be able to miss Out of Bounds, a public art installation featuring seven large soccer balls to climb on or just snap a sports selfie. With soccer fields, baseball diamonds, basketball, tennis and volleyball courts, this park with have your kiddos playing all day! There is nothing more exciting than spray fountains in the summertime. A great alternative to the typical swimming pool experience, Ballantrae Park’s splash pad is open seasonally from 10 am – 8 pm. 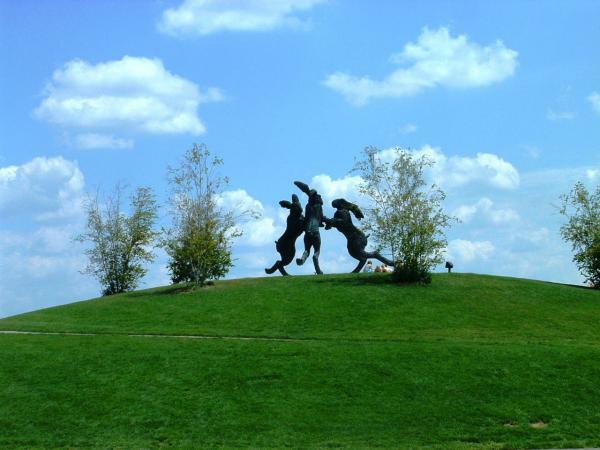 When you’re all dried off, be sure to head up the hill to the three Dancing Hares for a photo! One of the largest parks in Dublin, and the site of the famous Dublin Irish Festival, Coffman Park’s extensive grounds will wow the kids! Extra hot day? No problem! The Dublin Community Recreation Center is just around the corner complete with an indoor swimming pool. Not one of your average parks in Dublin, Nando’s Dog Park is a great space to bring along your furry friend! Nando’s was appropriately named after Dublin’s first K-9 officer and serves as the perfect puppy play area. Housed in Darree Fields Park, there are plenty of kid-friendly activities like the Miracle League Playground of Dublin, seven baseball diamonds and 18 soccer fields! Don’t miss the public art installation, “Going, going… Gone!”, a bronze sculpture marking the passage of time through an imaginary baseball. Scioto Park | 7377 Riverside Dr.
Scioto Park is home to river views, a shelter perfect for playtime picnics, and a playground. 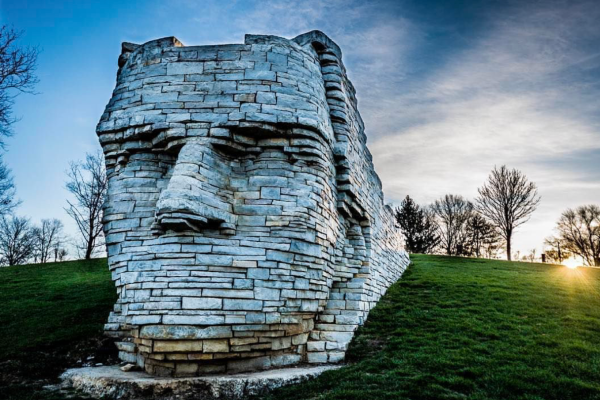 Your next photo-op awaits at one of the most iconic public art installations in Dublin - the 12ft stone memorial to Chief Leatherlips, a local native American legend. 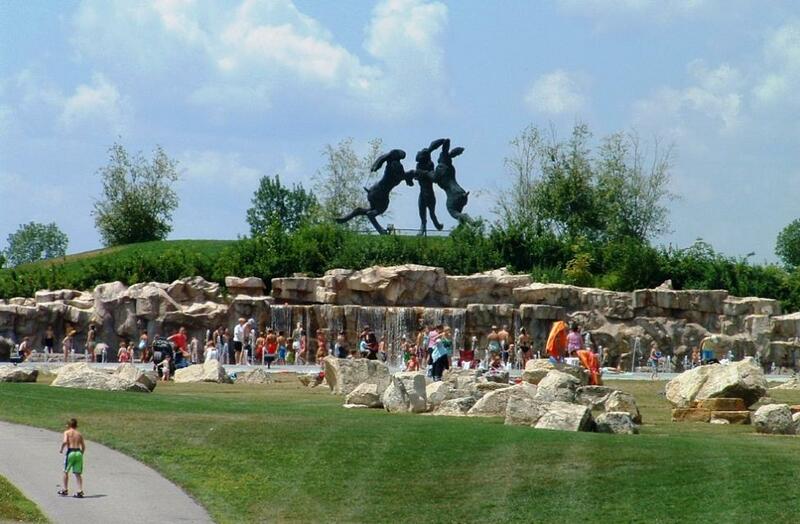 During the summer, come back for Sundays at Scioto, a live-music concert series put on by the Dublin Arts Council. One of the most playful parks in Dublin, Emerald Fields features a massive, toddler-friendly, fully-accessible playground. Whether your little ones love to swing, hang, climb, bounce or slide, Emerald Fields Park will have you coming back again and again. Playtime just got a little cooler. 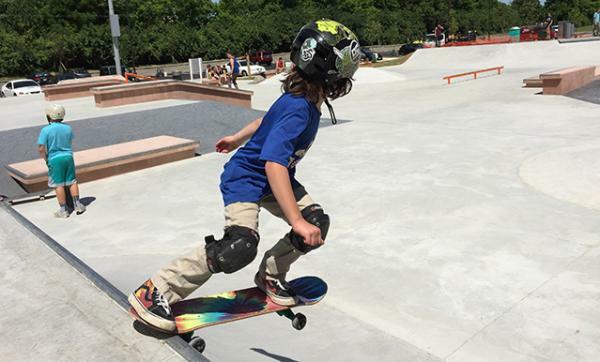 Head to the Skate Park near the Justice Center with your skateboard, bike or rollerblades and glide your way through ramps, obstacles, half-pipes and more. Open daily from dawn to 11 p.m., the park will provide hours of fun for your little skaters. 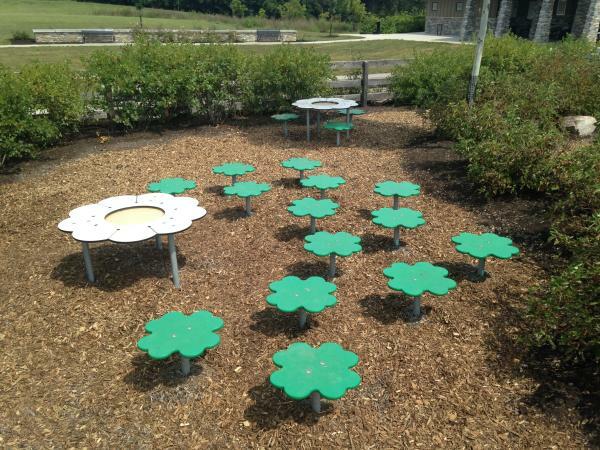 Nature is the perfect playground in Dublin, Ohio. Just minutes from Downtown Dublin with beautiful views, Indian Run Falls will reconnect your family with the outdoors. Hike along the observation decks for gorgeous views of the waterfalls and stop at one of the shelters for the perfect picnic. Want to find more waterfalls in Dublin? Click here. This is the perfect park in Dublin for the active family. With basketball and tennis courts, bike paths, fishing and great river access, you’ll find no lack of action at Donegal Cliffs. Follow the trail to a giant boulder staircase that takes you straight to the river. Find more paths to the river in Dublin here. Playful parks are just the beginning of what you’ll find right here in Dublin. Plan your trip today and share your memories with us using #SoDublin. For more trip ideas, click here.